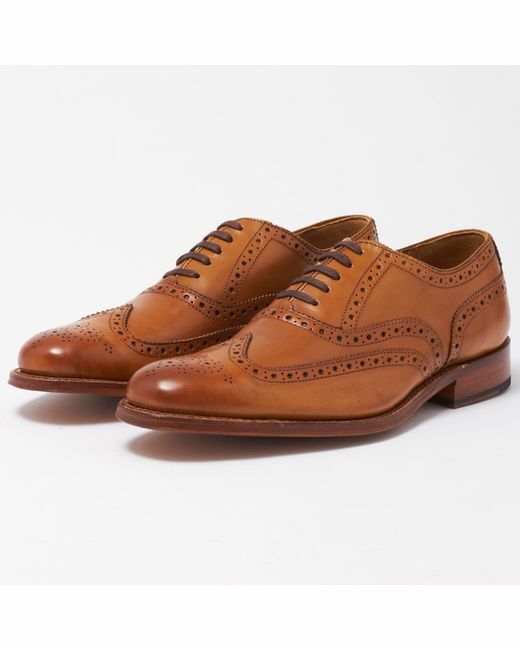 Premium Waxed Leather Uppers in Tan. 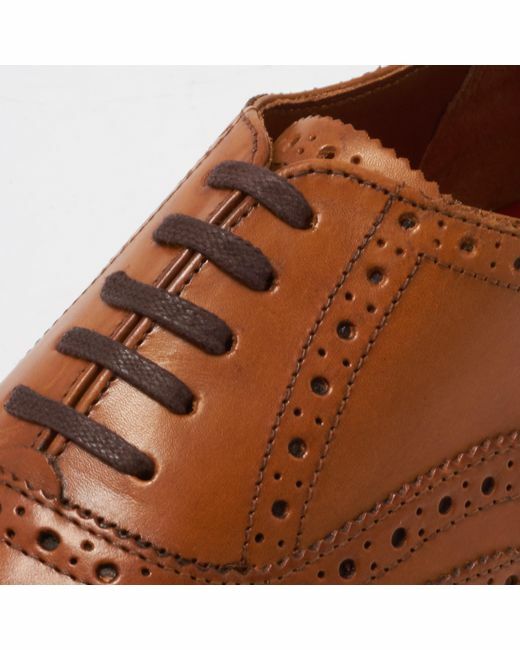 Waxed Leather Laces. 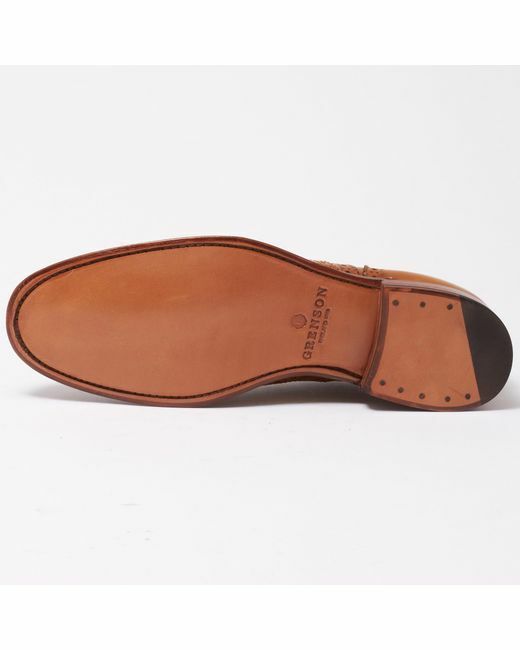 Leather goodyear welt Sole. 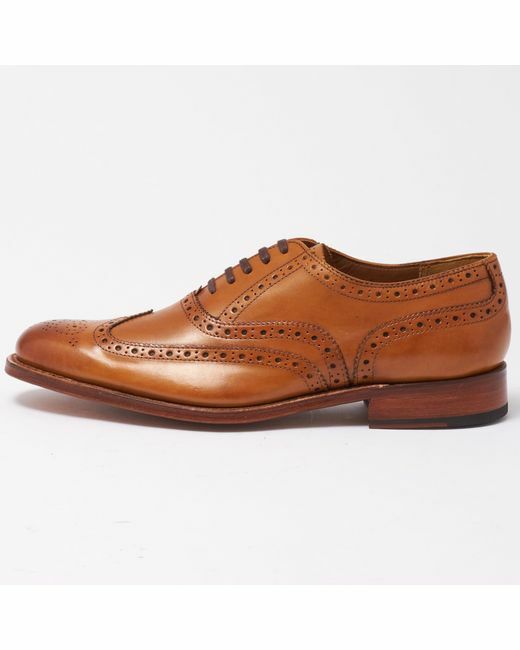 Traditional Brogue Pattern. Wooden stacked heel. A real classic and a timless design. F Fitting. 100% Leather. 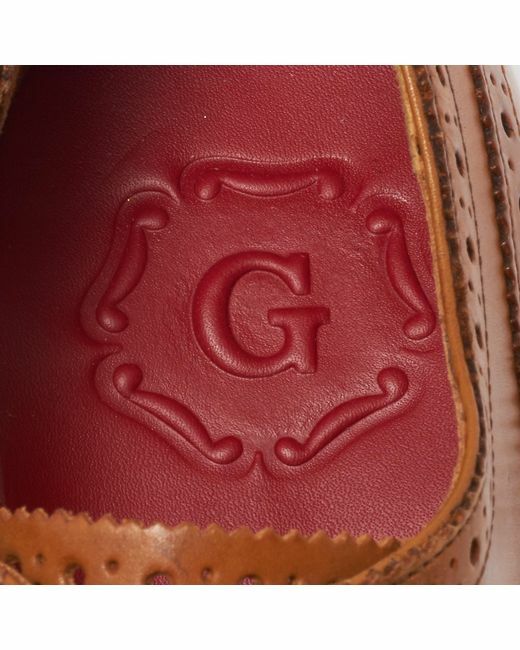 All Grenson shoes are "Goodyear Welted", a process invented in the 1800's in England that is a time consuming way of making shoes, but means that the product lasts longer than any other type of shoes. 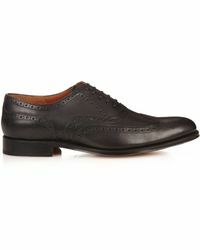 It also means that the shoe can be re-soled many times over making them a wonderful investment. 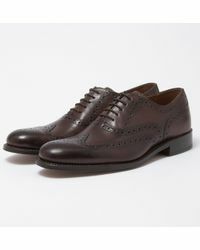 Taking care of your leather shoes: Leather is a natural product and can be fragile if not cared for correctly. 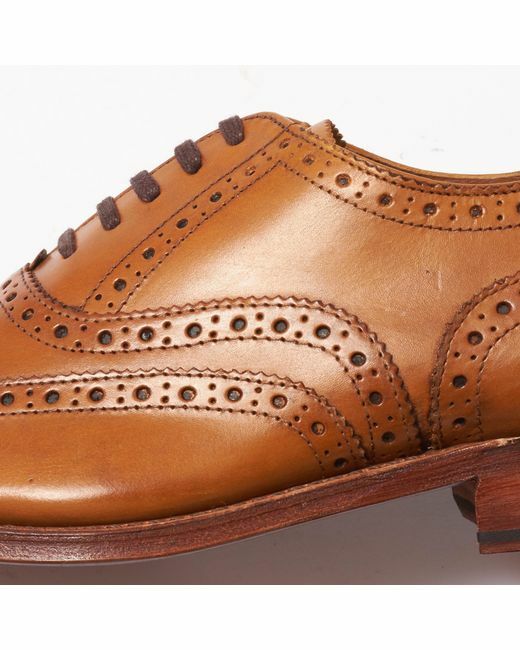 By following the simple rules below you can improve the longevity and durability of your leather shoes. 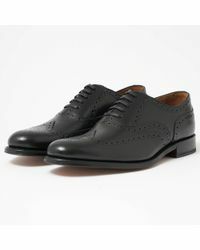 Ideally alternate your shoes with a 2nd pair to ensure they are not worn on successive days. 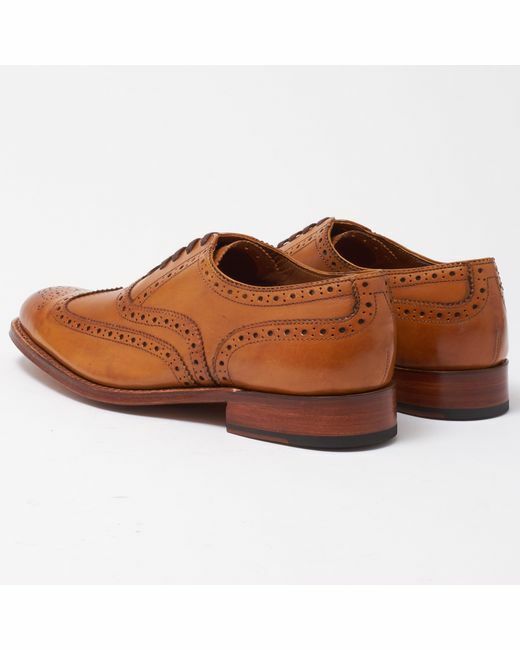 By doing this you will allow the upper leather to relax, any perspiration from the days wear to dissipate and the leather to dry. 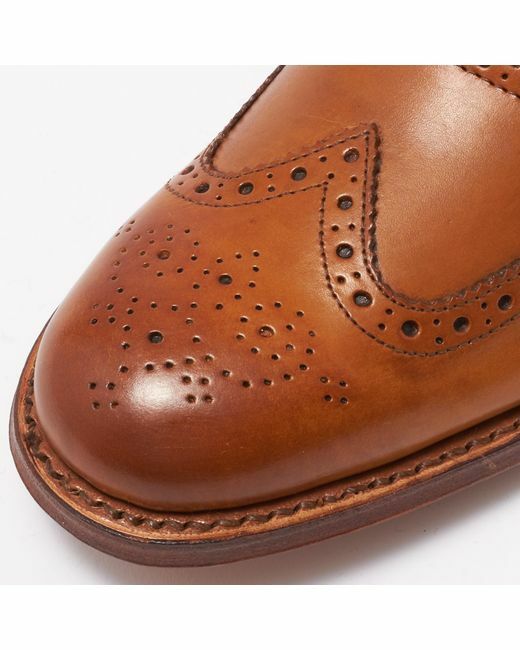 If you are caught out in the rain, it is very important to allow your shoes to dry naturally for as long as is needed, never try and accelerate the drying process by exposing them to direct heat as this could cause the natural leather upper and sole to dry out and crack. 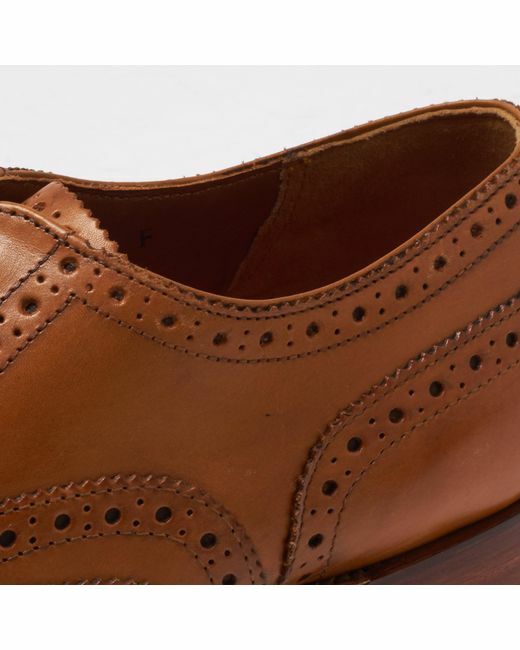 To support the leather upper and keep the shape of the shoes when they are not being worn you can pack them with newspaper or buy a shoe tree. Clean your shoes regularly. 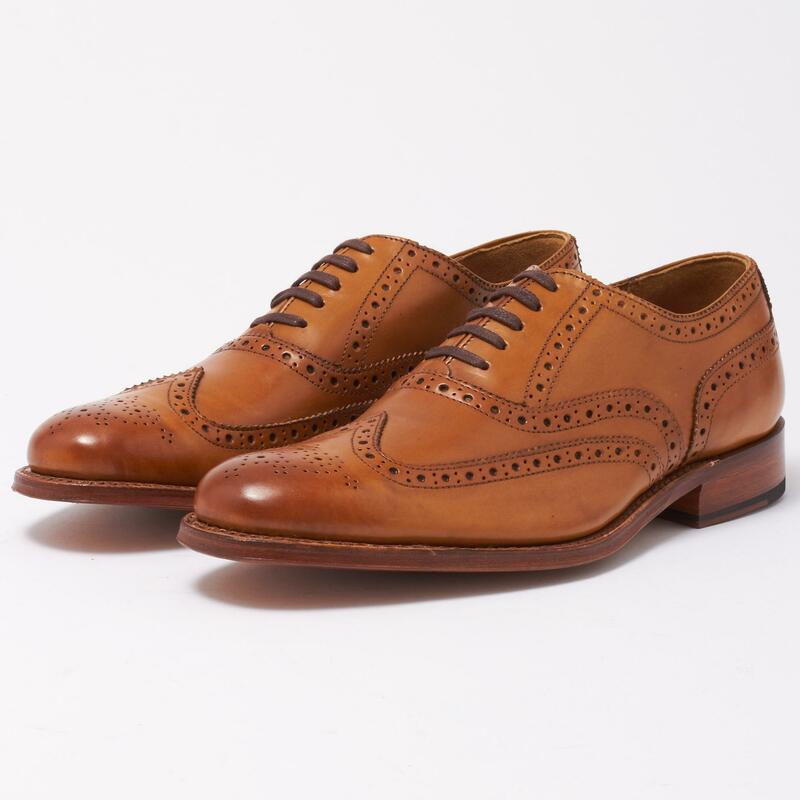 Water and dirt can ruin the finish and shorten the life of your shoes. Remove surface debris and dust using a soft cloth. 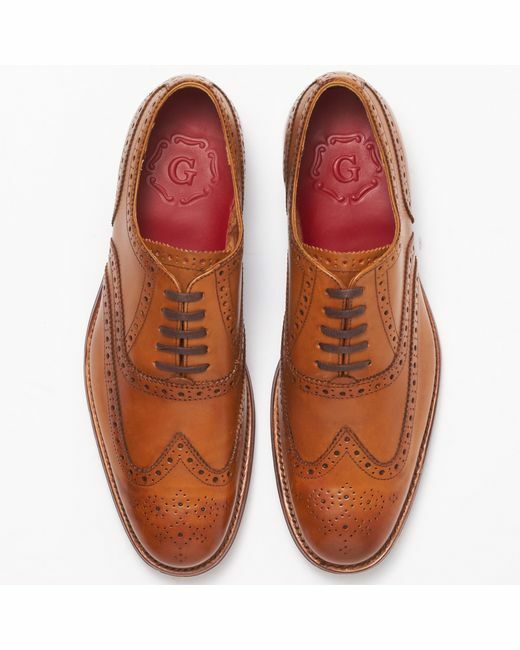 To nourish the leather, select a natural beeswax polish in a colour that most closely matches your shoes.